Epcot is set up like a World's Fair and this is the section showcasing future technology. This is a ride featuring the characters from Finding Nemo. The highlight of this ride is that it ends in an actual aquarium that features real sea life alongside the Pixar characters. 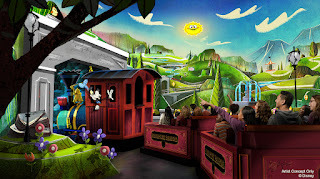 This is the latest update of the popular Disney ride, replacing the original California film. 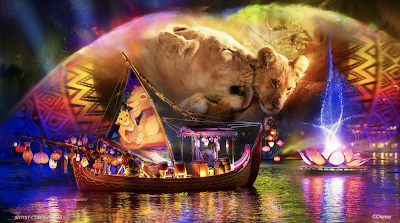 It features a trip to six of the seven continents and many of the countries you can visit in the World Showcase pavilions. This is a tour through a state of the art greenhouse where all of the food for the land pavilion is grown. It features a look at the history and future of farming. There is also a backstage tour of this ride, Behind the Seeds that allows you to get a closer look at this greenhouse. Epcot since shortly after its opening has had an unofficial mascot. He has gone through some changes over the years but remains as popular as ever in his newest ride. This is a ride that shows you how a car is made and lets you test ride a car and see how it performs against a car you design. This ride has two different versions. Both are claustrophobic but otherwise could not be more different. This is the original version of the ride. Be warned this ride is so intense that it forced Disney to create a less intense version just so people would ride this. It features a simulated trip to Mars where you have to press buttons to be sure you have a safe trip. This used to be a toned down version of the Mars mission but that is no more. Now, this is a trip around the Earth that is so calm its boring. This is a short show featuring Beaker and Dr. Honeydew testing out their new inventions. This allows the kids in the audience to have a conversation with Crush the turtle from the Finding Nemo series. Other characters from the series like Dory also make appearances on occasion. 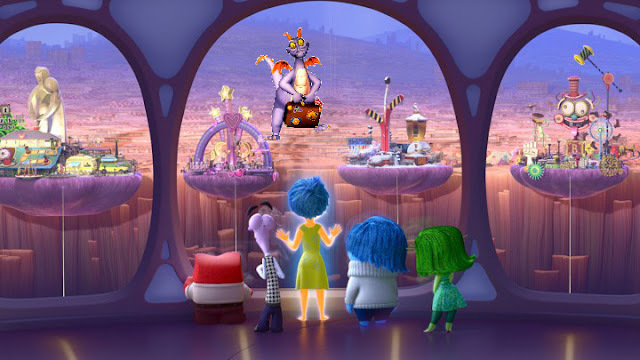 This is a collection of three Pixar short films shown together in a large theater. They do not change that often. This is the comfort food location of Future World. Go here if you want burgers or chicken. However be sure to check out the last talking trash can in Disney World. This is a Starbucks. It serves Starbucks. You can get an Epcot Starbucks mug here. This is the luxury restaurant in Future World. It serves high-quality seafood surrounded by an aquarium. This is a table service restaurant that serves fresh food, some of it grown in the Land pavilion. It also sometimes will offer a character meal with some of the Fab 5.